On 5th and 6th of March 2018 the 2nd Additive Manufacturing Forum took place at the Estrel Congress & Messe Center in Berlin. About 550 conference participants from aerospace, automotive, railways, mechanical engineering, medical technology and science sectors once again were given the opportunity for intensive networking. Various speakers and experts from the Additive Manufacturing Forum provided exciting insights into forward-looking and trendsetting projects. Furthermore, over 50 echibitors presented in an innovation exhibition innovations and the latest additive manufactured exhibits. 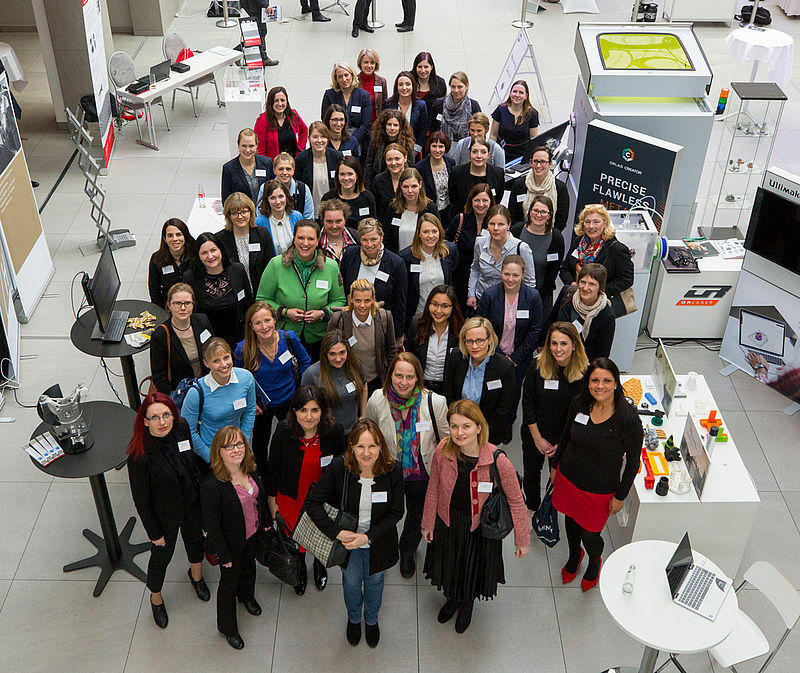 In addition, the association Mobility Goes Additive and the IPM AG organized an AM Ladies Lunch for the first time as part of the Additive Manufacturing Forum. Along with 40 other participants, Dr.-Ing. Britta Schramm, Senior Engineer of the Institute of Applied Mechanics of Paderborn University was invited to this event, whose aim was to improve the networking between women in specialist and management positions and to inspire other ladies for this innovative topic in order to create new potentials for the future technology additive manufacturing. The Ladies Lunch kicked off with two exciting keynote speeches and offered the opportunity for a relaxed networking and an intensive professional exchange.